The Market Access and Rural Enterprise Development Programme (MAREP) through an agreement with Courtney’s Training Agency commenced a Cruise Ship Services Training Program for 50 rural young men and women on Tuesday, 17 May 2016, at Annandale, St George. 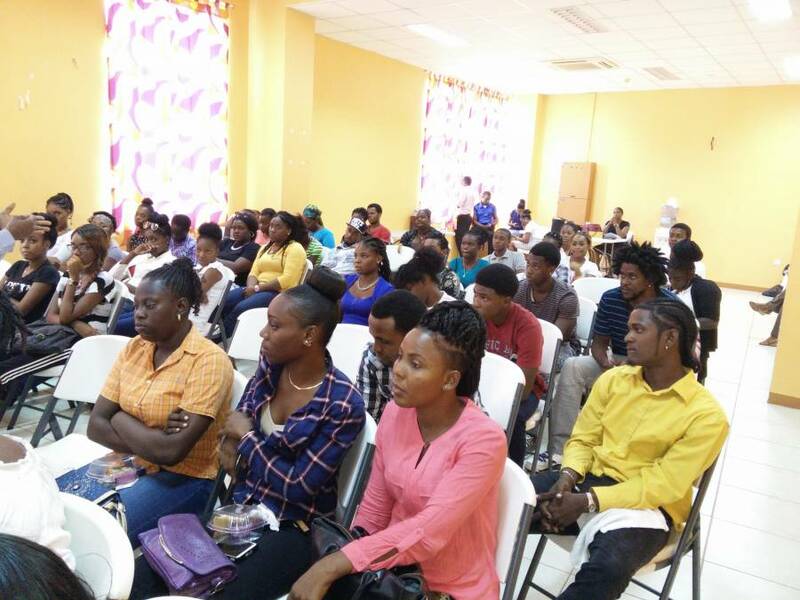 On Wednesday, 11 May 2016, a Youth Motivational Symposium and Orientation, which served as an avenue to disseminate information to the trainees and introduce the facilitators, was held at the Grenada National Stadium for the selected young persons from rural communities islandwide. The provision of this training is in keeping with MAREP’s commitment to rural development, and in particular to provide access to employment opportunities and assistance with job placement in competitive fields. The main objective of the Cruise Ship Training is to ensure the trainees are fully equipped with the knowledge and skills for the hospitality, travel and service industries worldwide. Feature remarks at the Symposium from the MAREP Programme Manager emphasized that “positive expectation and high level of discipline are expected of each trainee”. This was in line with the keynote from the service provider which highlighted that punctuality and a good personality are key international standards outlined by service-oriented organizations and cruise ship companies. Approximately $42,000 (tuition and transportation) will be spent for the 50 trainees to obtain the 3-month training which will cover areas such as Hospitality, Customer Service, Administration, Life Skills, and Health & Safety. On successful completion, trainees will receive Competency Certificate, interviews and employment opportunities suitable for the said industries. MAREP is proud to have reached this stage of implementation, with 50 youth embarking on training in one of the fastest growing sectors in the travel/service industry with career paths to follow on land, at sea, on small or mega ships and yachts. The programme is well on its way to fulfilling its commitment to development, employment and sustainable livelihoods. For further information, please call 442-0100 / 0105, or email: marepgrenada@gmail.com, or fax:442-0104.